AuthenTec, a leading provider of mobile and network security, today introduced a new security offering that provides military-grade encryption to data stored on today's Android smartphones and tablets without sacrificing device performance. AuthenTec's MatrixDAR(TM) for Android meets the stringent requirements of FIPS 140 certification. MatrixDAR allows for full disk encryption in both the device and its storage media and incorporates AuthenTec's SafeZone software. This expands the company's security services for data-in-transit over SSL and IPSec connections and data-as-rest stored on a mobile device. It prevents unauthorized access and renders the smartphone or tablet useless if lost or stolen. 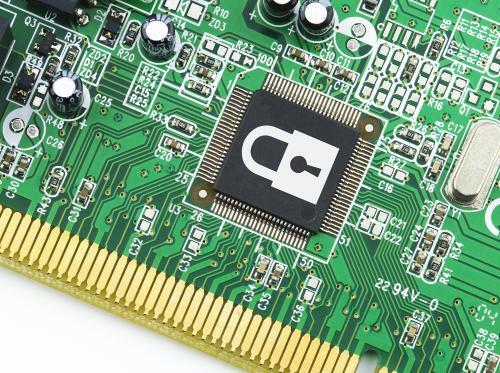 AuthenTec offers the product for OEMs to directly install on devices, allowing IT departments to avoid installation of separate encryption software. “Our new MatrixDAR offering gives smartphone and tablet OEMs the ability to easily integrate military-grade FIPS 140-certified encryption into their Android platforms to help meet the strict security policies that address the growth of BYOD,” Simon Blake-Wilson, vice president of AuthenTec’s embedded security solutions division said in a prepared statement. MatrixDAR enables a consistent approach to mobile device security that is an extension of existing security policies and practices.